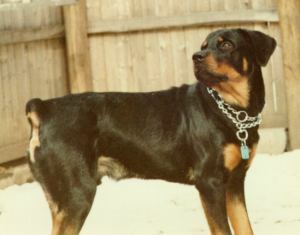 Rottweiler. More testosterone than brains, fearless and loyal beyond description. Bruiser with girlfriend Roxanne (the pitbull). 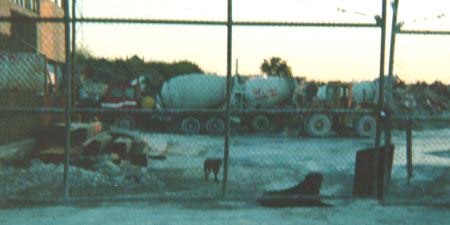 They had puppies reputed to eat concrete and drink blood, although I never saw them do either. —A.V. 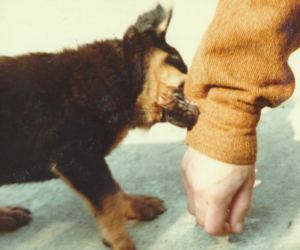 Bruiser, at 6 weeks, practices his kill techniques with enthusiasm.